This week's Daily Record column is entitled "Does technology have to trump privacy rights?" FYI--due to time constraints, this week's posts will be out of order. 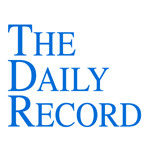 This week's Daily Record column is entitled "Technology Strikes--Oblivious Attorneys Stunned." The Daily Record published an interesting article yesterday that quoted a number of Rochester lawyers, including yours truly, who are using online networking to their advantage. 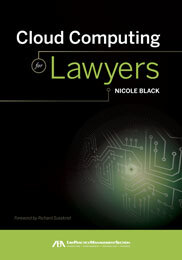 The article, "@Lawyers Networking Online" can be viewed in its entirety here. Kids do it. Jurors do it. Even members of the bar do it. Online social networking is more than a time-killer, say some Rochester attorneys, who also use it increasingly as a marketing tool. in January 2009 by Doug Cornelius on Zoomerang.com, received 231 responses. Eighty-five percent of respondents said their law firm blocks access to Facebook; 77 percent said they were blocked from MySpace. Another 55 percent are blocked from accessing YouTube, 26 percent from Twitter and 14 percent from LinkedIn. Reasons cited by firms for blocking included loss of productivity, increased risk of viruses, confidentiality concerns and bandwidth consumption. But those who use the sites argue the benefits of networking online far outweigh the risks. Rochester attorney Nicole Black, of counsel to Fiandach & Fiandach and an expert on Web 2.0 technology, said firms that block networking sites simply don’t understand the power of social media. This week's Daily Record column is entitled "Rethinking What It Means to be a Lawyer." The last few months certainly have been memorable for the legal profession. Massive layoffs at large firms and every other level of our profession are leaving unexpectedly unemployed, stunned lawyers in their wake. Those lawyers would be well advised to think out- side of the box, and to use their legal skills in atypical ways. In order to maintain competitiveness and employability in the newly global and technologically advanced economy, lawyers must re-conceptualize their role within it. The vast majority of lawyers define their skills too narrowly. That narrow definition of what it means to “practice law” was drummed into us while we were law students, and there continues to be a petty pecking order among lawyers. Big Law attorneys sneer at small firm attorneys. Corporate attorneys look down their noses at litigators. Civil attorneys consider criminal attorneys to be the lowest of the low. Commercial litigators consider personal injury litigators to be bottom feeders. Criminal defense lawyers are convinced they serve a higher calling, and all others are selfish, greedy and incompetent. Of course, all of the so-called “practicing” attorneys denigrate the non-traditional career choices made by their “non-practicing” colleagues. Prior to her career in journalism, Kelly, an attorney, practiced as a litigator with Jones Day in New York City, Chicago and Washington, D.C. before leaving to pursue journalism. She joined FOX News in 2004. Professor Alan M. Dershowitz … has been called ‘the best-known criminal lawyer in the world,’ …‘the top lawyer of last resort.’ ... [He] joined the Harvard Law School faculty at age 25 after clerking for Judge David Bazelon and Justice Arthur Goldberg. ... He has also published more than 100 articles in magazines and journals. … Professor Dershowitz is the author of 27 fiction and non-fiction works with a worldwide audience. … In addition to his numerous law review articles and books about criminal and constitutional law, he has written, taught and lectured about history, philosophy, psychology, literature, mathematics, theology, music, sports —and even delicatessens. In the tradition of many others before them, Alan Dershowitz and Megyn Kelly are using their legal knowledge to forge new career paths. They are lawyers, journalists and more. A “lawyer” can be many things. As the legal landscape adapts to changes in technology and the economy, the opportunities for lawyers to use their degrees in unexpected and exciting ways only will increase. Those attorneys who see change as an opportunity to forge a new and unusual legal career path are innovative, forward-thinking lawyers, not “former” lawyers. Different Juries Rule on Same Case with Same Injuries - 1st Jury Awards $575,000 for Pain and Suffering, 2nd Jury only $22,000. Why?